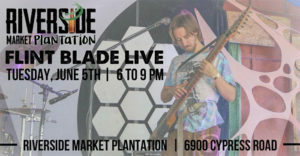 Join us on Tuesday, June 5 & 26, as Flint Blade plays LIVE on our patio! 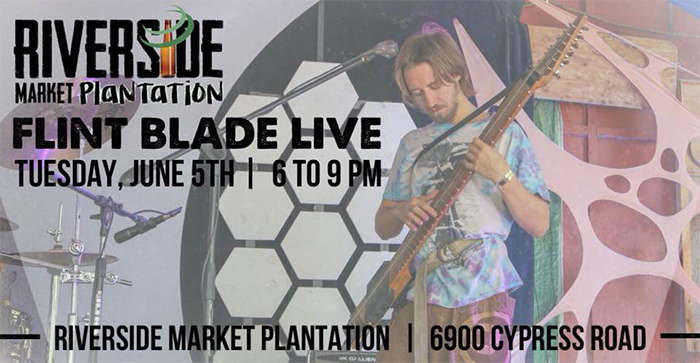 Flint Blade creates live, uplifting soundscapes of voice, beatbox and the Chapman Stick two-handed tapping instrument. Drawing inspiration from dub reggae, jazz and electronica among all kinds of music, Flint’s penchant for improvisation manifests in subtle and extremely present performances of original material as well as unique renditions of familiar favorites. On stage, in the studio and through life, spirit guides an exploration of the ethereal nature of sound.